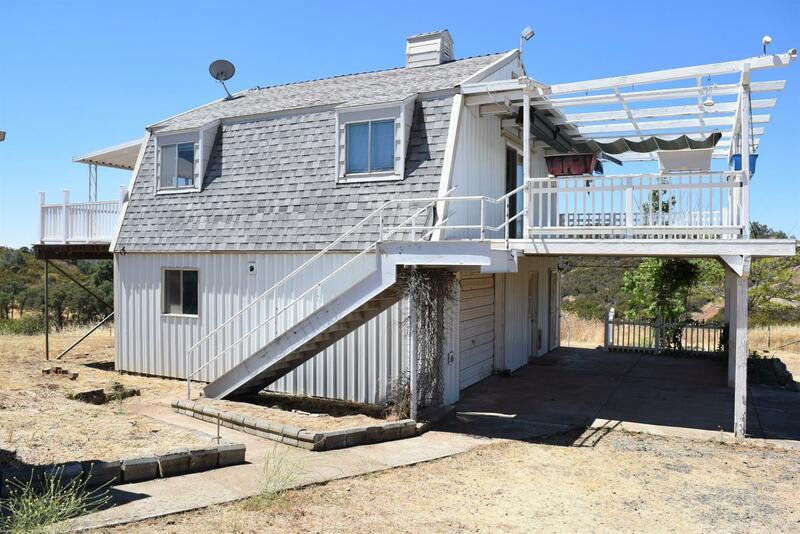 One bedroom, two bathroom house with attached single-car garage nestled on a 40 +/- acre lot. Enjoy scenic vistas from both balconies. Single-car detached shop with extra space, includes bathroom. Approximately 1, 100 sq.ft. barn with loft. Entertainment, recreation, eateries, and wineries located nearby in California's Gold Country. Approximately 45 minutes from Sacramento and Elk Grove. Interested parties should independently verify accuracy of information.